Lynn Berberich is a Certified Senior Advisor and the owner of BrightStar Healthcare of Baltimore City and Baltimore County. In 2009 Lynn opened BrightStar, providing a “higher standard of care” and servicing needs for aides, RNs and LPNs. BrightStar specializes in one-on-one care in a home or senior living facility. Lynn earned her RSA license from the State of Maryland in 2010, Level 3, Complex Care, the highest level of care. In 2011 her office earned National Accreditation for Homecare with the Joint Commission. In 2013 her office earned a clinical excellence designation and an award for outstanding customer service. The office of BrightStar Healthcare is in Lutherville – Timonium and services all of Baltimore City and Baltimore County. BrightStar’s experienced Nursing Assistants (CNA) can assist with: light housekeeping, meal preparation, laundry, bathing, toileting, medication reminders, transfers, companionship, safety supervision and errands. LPNs and RNs can assist with home blood draws, IV therapy, wound care and medication pouring and medication administration. Specializing in dementia care, BrightStar can provide care 24 hours a day, 7 days a week, hourly, short term respite or long-term. BrightStar Healthcare’s full-time RNs completes a comprehensive health and wellness evaluation and person centered plan of care focused on each client’s personal and healthcare needs. BrightStar Healthcare of Baltimore City/County is recognized by long-term care insurance companies and can also accept private payment, some private insurance and all credit cards. 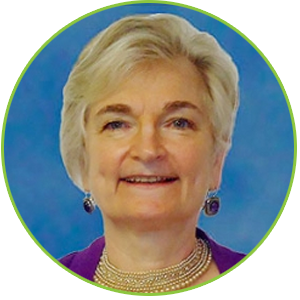 Lynn Berberich is a Certified Senior Advisor, a member of: the Baltimore Provider Council, the Maryland Senior Resource Network, the Life Planning Resources Group, the Dementia Care Consortium and the National Aging in Place Council. She speaks frequently on “Aging in Place” and planning for your future. Lynn Berberich is a graduate of Leadership Baltimore County class of 1993. She has an undergraduate degree in Social Work and a Masters in Education. She has worked internationally as well as in the US and has lived and worked in Baltimore County for the past 25 years. Lynn’s passion for helping people age in their homes comes from personal experience. Her grandmother lived to 107. Her dad died of Lewy Body dementia at the age of 90, with the family honoring his wishes and keeping him at home.